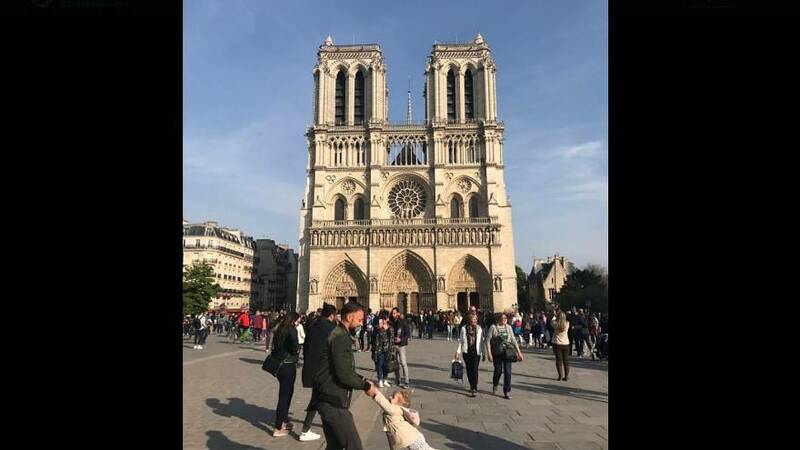 The image shows a man spinning a child in circles, both smiling in front of Notre Dame's façade about an hour before the blaze engulfed the cathedral. The picture was taken by Brooke Windsor, who posted the picture on Twitter in a plea to find them. "Twitter if you have any magic, help him find this" she wrote. Brooke tweeted that she is uncertain about the father and daughter relationship but based on what she could see, she speculated that was the case. "I do not know if it was a dad and a daughter, it's simply the dynamic I observed from them while debating on interrupting this moment. It may be an uncle, brother, friend, who knows until we find them"
The image has been retweeted more than 200,000 times so far from people across the world eager to help her find them.